Perfectly symmetrical details define these dramatic pillows with an "X" topstitch pattern. The union of contrast stitching and full aniline leather align to form the new Axis Collection. 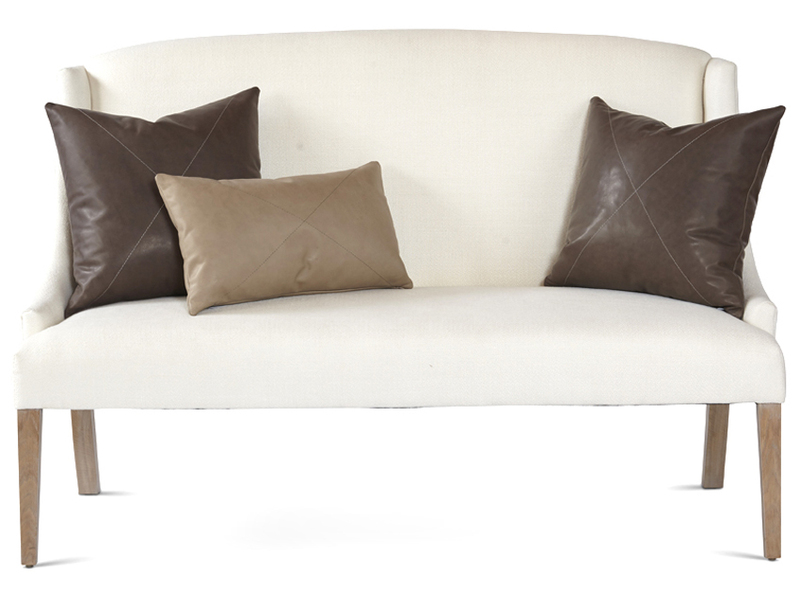 Our Kimberly Banquette is adorned by Axis, shown in our Valhalla - Dove (20x20) and Valhalla - Burlap (13x22).